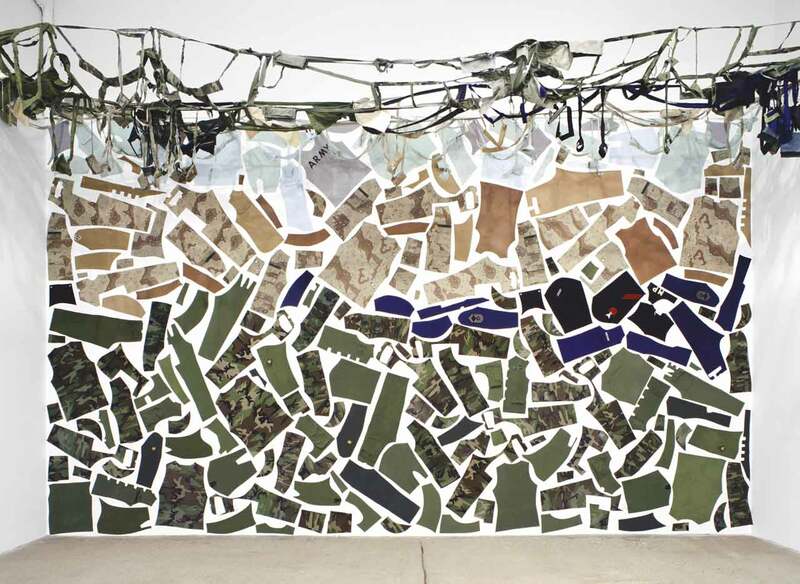 This large-scale fabric mural is composed of military uniforms donated from American soldiers. The deconstructed uniforms bring together a community of soldiers and veterans that have served in various wars, from WWII and Korea to Vietnam and Iraq. The different types of camouflage reflect the varied landscapes in which American troops historically have fought, such as the jungle and the desert. 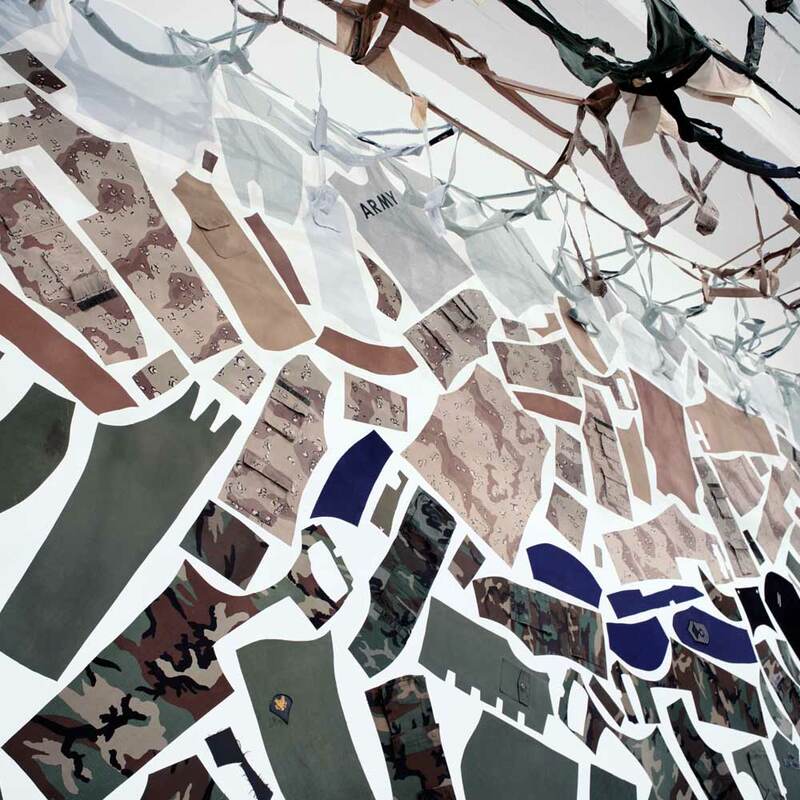 Pasted flat like wallpaper, the installation of camouflaged uniforms questions the notion of the US military’s visibility."